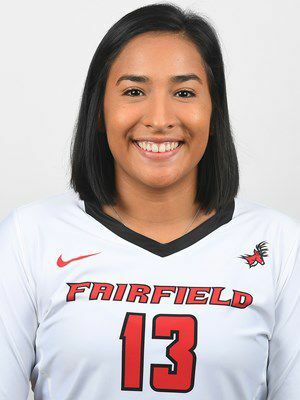 Social media had a little fun with former McAllen Rowe star Mayda Garcia’s huge breakout game for Fairfield University. The match took place Saturday, the same day Rowe vanquished rival McAllen High in four sets in front of a huge crowd. Lots of online congratulations were spread around Rowe Nation. But for Garcia, who has been plying her trade at Division I Fairfield in Connecticut the last two seasons, Saturday was special. Maybe even more special than a win over a high school rival. The 5-foot-9 junior exploded against Northeastern University with 28 kills while also chipping in a sterling 19 digs to help on defense. Garcia, a high-flying outside hitter/right side, is not a prototypical DI hitter at her height. But after an introductory year to college volleyball in 2016, during which she totaled just 41 kills for the season, the former all-district and all-Valley selection made major strides during her second season. In 2017, Garcia helped lead the Stags to their third straight MAAC title with 224 kills – good for second best on the team. Her top performance in 2017 came against Loyola-Chicago when she posted 18 kills and 16 digs. She had several other outstanding games, and the Stags ended the season with a loss to No. 2-ranked Texas in Austin in the first round of the NCAA Tournament. This season, after a slow start, Garcia blew up with the monstrous game against Northeastern. Even though the Stags lost (1-8 overall), she has set herself up to be the team’s leader on offense with last year’s kill leader graduated. She’s being fed by first-team all-conference setter Manuela Nicolini. Garcia already has 79 kills and is on pace to easily break last year’s numbers. Fairfield, located about 50 miles northeast of New York’s Yankee Stadium, has time to improve, break in some younger players and ready itself for conference play. 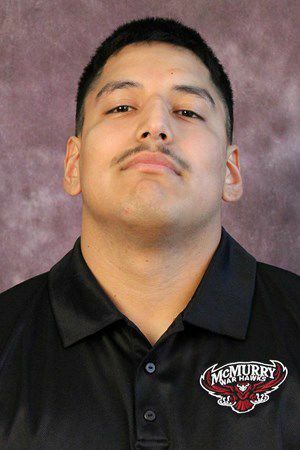 Roma High School product Juan Ramirez has claimed a full-time starting job with the McMurray University football team. Ramirez, a 6-foot-2, 250-pound sophomore, has earned the all-important position of left tackle for the DIII War Hawks. McMurray is located in Abilene. A 2015-16 All-Area selection for the Gladiators, Ramirez started two games last season for McMurray and this year has started the team’s first two games. In the classroom, the sophomore is in the honors program with a 4.0 GPA, and he’s on the student athletic advisory committee for the War Hawks. McMurry is in the American Southwest Conference with schools such as Texas Lutheran, Mary Hardin-Baylor and East Texas Baptist. 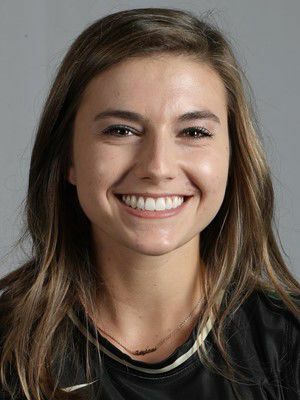 Taylor Marburger, a former McAllen Memorial volleyball standout, is beginning to find some traction during her second year at Baylor University in Waco. After sitting much of her freshman year at the Big 12 school, the 5-foot-5 defensive specialist/libero has started her sophomore campaign by playing in six of the Bears’ nine matches and in 20 sets total. Marburger, The Monitor’s All-Area MVP in 2016, has made the most of her time. She has recorded eight service aces (second-best on the team) to go along with 10 digs. Last year, the sophomore 2017-18 Academic All-Big 12 Rookie Team selection was named to the Big 12 Commissioner’s Honor Roll twice. Baylor is 6-3 so far this year and has been ranked in the top 20. 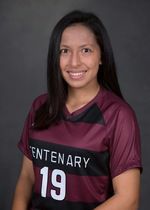 McAllen Rowe alum Veronica Dougherty was named Centenary College Athlete of the Week for her part in part in the Shreveport, Louisiana school’s victory last week. Dougherty, a 5-foot-6 freshman defender/midfielder for Centenary, helped her team hold an opponent to only two shots on goal as the Ladies (Centenary’s mascot name for its women’s teams) rallied for a win. DIII Centenary is a small private four-year liberal arts college affiliated with the United Methodist Church that participates in the Southern Collegiate Athletic Conference. Dougherty and her Ladies’ team are undefeated at 4-0 with wins over such schools as Texas Lutheran and Schreiner. Dougherty, one of four freshman starters, has started all four games and has one goal and one assist. 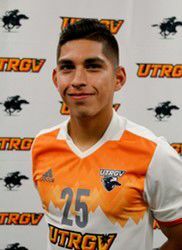 Former Valley View soccer star Damian Magallan Jr. has already made his mark at UTRGV. The 5-foot-5 freshman has scored two goals in just three games for the 3-2 Vaqueros. Magallan scored both of his goals in UTRGV’s second match, against Siena at the Houston Baptist Invitational. UTRGV won the match 4-1. The 142-pound midfielder’s two goals are tied for second-most on the squad. Only Kyle Edwards has more with three. Magallan’s goals came via just two shots. Magallan also played with the Houston Dynamo U.S. Soccer Development Academy. Know an RGV athlete doing well at the collegiate level in any sport? Send us a tip at gluca@ themonitor.com.